We’ve all been there: at the end of the day, you’re bone-tired and you just want to rest your weary head. That’s not easy to do when there’s literally no vacant bus/jeep/FX, or when the trains are so packed, you just want to jump on the tracks. You also have to choose between the lesser of two evils: get stuck in traffic or get stuck waiting at the train station? There is a third option: stay at home instead of going to work or school, but I don’t think that’s what you’re looking for here. 1. Keep your wits about you. Always make sure your valuables are intact. Be wary of any movement near you lest you be robbed. 2. Know that this will be another round of running and/or waiting, all the while anxiously looking at your watch to see if you’re late. Breathe in. Breathe out. Save your strength for fending off the hundred other commuters who also want to ride the bus. The daily commute is a battle and flat shoes are your armor. I repeat, FLAT SHOES ARE YOUR ARMOR. You’ll need to stand for long stretches of time, run after vehicles, and keep your balance when the crush of fellow commuters presses against you in every which way. Slippers are inadvisable as they can fall apart when stepped on. Please do not wear high heels, especially those clunky, heavy ones. When you’re in a crowded place, you’ll inevitably step on someone’s foot, and that someone (me) will shove you hard and yell a swearword at you in front of everybody. Seriously. Don’t be scared of looking silly. There is no room for poise when commuting, and if you don’t believe me, try riding the MRT on a Monday morning. When an empty vehicle finally comes, run after it and block the door immediately. Position yourself in such a way that you not only block the entrance but also that your arms are stretched out wide, grasping the handles of the entrance which you can use to pull yourself inside. Once, I got my arm caught in a bus door because I was blocking everyone else. That was painful and embarrassing, but at least I was on my way home while the other unlucky bastards were still waiting. Schmucks, I tells ya. Sometimes the vehicle will stop several meters away from you and there’s already a crowd forming. Sometimes the train is so packed you can’t even get a foot in. Sometimes you’ll be standing in a bus, crying because it’s raining and the traffic is so bad and you just want to get home. It’s okay. There will be other victories. I pride myself on being capable enough to outrun people to a vehicle and to use my body to block any potential competition. 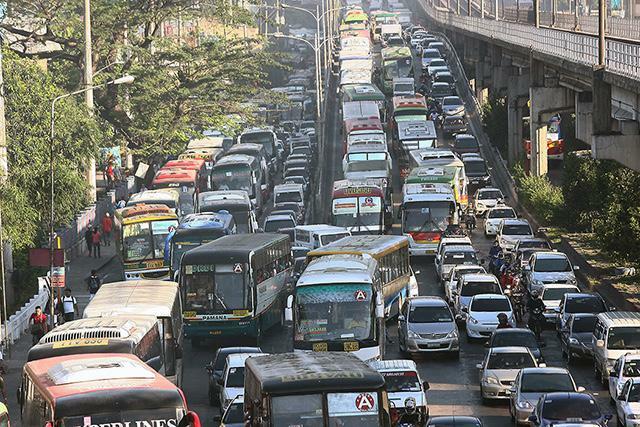 I’ve used this technique in many crowded places, including Cubao, Quezon Avenue, Manila, and Rizal. Unless the crowd beat you running to the vehicle, it’s pretty foolproof. I must get a patent.